One of the great tragedies in video game history is the demise of StarCraft: Ghost, a game that spent nearly a decade in development hell before fizzling completely. Although we’ll likely never play that game, there exists a decent substitute inside of a game Blizzard did release—StarCraft II. Last year, Blizzard released a series of StarCraft II mission packs called Nova: Covert Ops. You’d be forgiven for not hearing about them, because they slipped under most people’s radars for lots of reasons (lack of marketing, a three-part release, etc.). 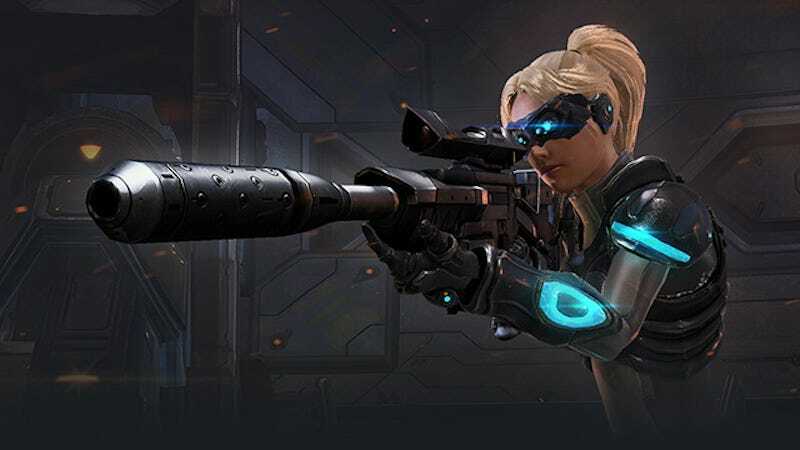 All together, Nova: Covert Ops consists of nine missions and feels as substantial as any of the other StarCraft II campaigns, complete with its own neat ideas, unique upgrade system, and bizarre mechanics. I finally played through the bulk of Covert Ops over the past couple of weeks and am pleased to report that it’s excellent. Nova is a bland character—her personality is best summed up as “cool” and “can turn invisible”—and her story, which involves a group of Terran terrorists, is maybe one or two notches above mildly interesting. What makes Nova: Covert Ops special are the missions. Each of the expansion’s nine campaign missions has some sort of interesting twist, whether it’s a solo stealth romp through a science facility or a traditional StarCraft II base-building exposition in which you also have to go around grabbing resources to restore Nova’s memories. You’ll get to use Nova as a hero the whole time, and you can outfit her with different weapon loadouts between each mission. Another, my favorite mission in Nova: Covert Ops, plays out like a legit stealth game. You can equip Nova with different gear—swapping between, say, a sniper rifle and a plasma sword—and maneuver her around the map, using her special abilities to take down enemies and avoid getting caught by patrols. It feels like an isometric version of what StarCraft: Ghost might have been. There’s even a boss battle. Nova Covert Ops is well worth your time if you’re into the series, especially if you’re still sad about StarCraft: Ghost never happening. And StarCraft II has aged remarkably well.